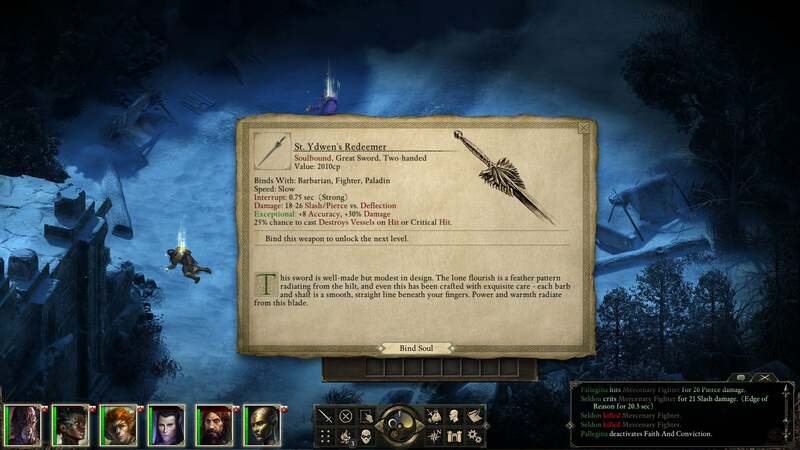 The White March is to Pillars of Eternity what Tales of the Sword Coast was to Baldur's Gate. 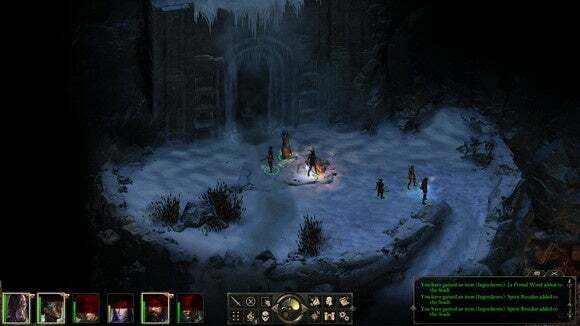 If you’ve played Baldur’s Gate any time in the past decade, chances are you’ve also (whether you knew it or not) played through its 1999 expansion, Tales of the Sword Coast. The two have been packaged together for years now, and for good reason—there’s no reason not to play Tales of the Sword Coast. 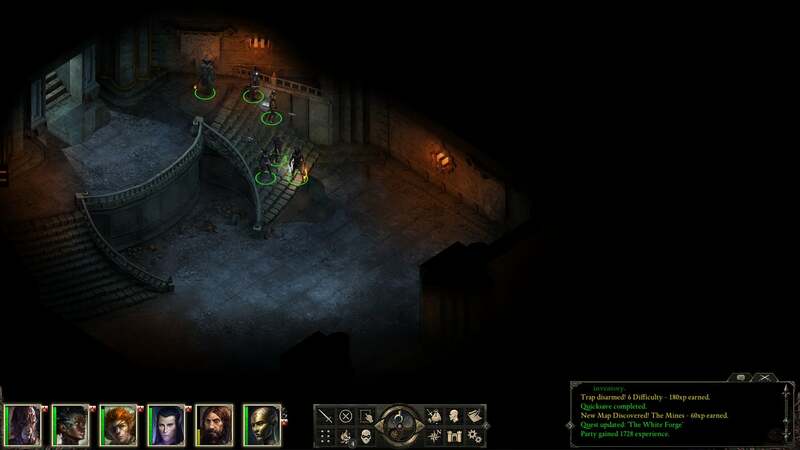 It’s thirty hours of side content, integrated so seamlessly into the base game it’s hard to tell where Baldur’s Gate ends and Sword Coast begins. I bring it up because someday, to someone, the new Pillars of Eternity expansion The White March will be the same way. But The White March highlights something weird I’ve noticed about expansions, especially to story-based games—they’re often more interesting to people who’ve yet to play than they are to those who’ve already finished. There’s an easy way to talk about The White March Part One, and that’s raw numbers. One new region (The White March) with four main areas (the village of Stalwart, the wilds of Russetwood and Longwatch Falls, and the mysterious dwarven fortress of Durgan’s Battery), two new companions (the rogue Devil of Caroc and the monk Zahua), one lengthy dungeon, and one shorter dungeon, all adding up to about ten hours of content. All of it is decent. Some of it is good. None of it is essential. In a perfect world, The White March would be the Tales of the Sword Coast to Pillars of Eternity. You would organically (seamlessly) stumble upon the expansion content while playing through the campaign, once your character hit level 5. 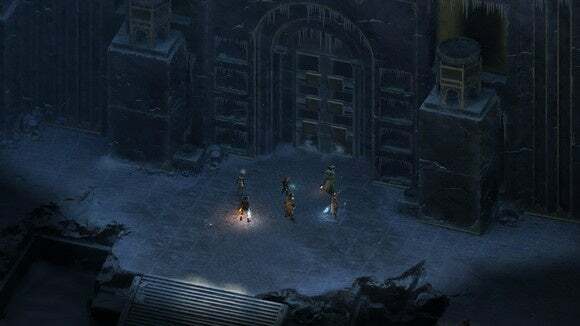 Those who’ve already completed Pillars of Eternity though will (like myself) load up their pre-endgame save and mainline everything The White March has to offer. It’s not ideal. To me it’s a bit like reading a book to completion, and then a few months later the author comes back and says, “I added a new chapter—now there’s a 12A and a 12B before it goes on to Chapter 13.” Except you’re never going to read Chapters 1-11 or 13 again. And taken on its own, The White March Part One isn’t incredibly compelling. Now, I should be clear in case you didn’t ascertain this from the title, but Obsidian’s only released the first half of The White March so far. Events in the second half may retroactively make Part One a lot more interesting. But if that’s the case, I wish Obsidian would’ve released it as one package instead of two separate halves, because what we have in The White March Part One is a low-stakes, low-reward dungeon crawl padded with some filler quests. The White March centers around Durgan’s Battery, a fortress formerly home to a band of dwarves renowned for their skill as blacksmiths. The Battery produced weapons made of Durgan steel, stronger and lighter than any normal armaments. Durgan’s Battery has lain dormant for two-hundred years though, and the decrepit mining town of Stalwart calls on you to figure out what happened—and whether there’s any help to be found within. The expansion is well-crafted, to say the least. Taken in the context of the main game, Durgan’s Battery is as interesting as any other combat-focused side-dungeon—and it’s relatively large, stretching across three massive floors. In a story-heavy game like Pillars of Eternity, Durgan’s Battery feels like an anomaly though. If your favorite part of the base game was dungeon-crawling the fifteen floors of the Endless Paths of Od Nua, then the two hours or so spent in Durgan’s Battery will be of interest. The same goes for the bandits at Cragholdt Bluffs, the smaller of the expansion’s two dungeons, which is even more straightforward and story-light. 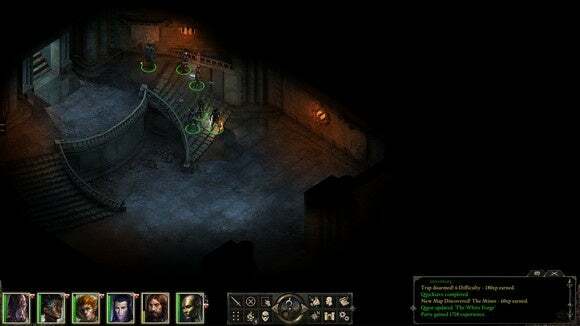 But for those who’d invested in the story of Pillars of Eternity, in roleplaying The Watcher, the expansion isn’t going to hit the same highs. Honestly, scope is a big part of the problem with The White March Part One. By confining the player to four main areas, it makes the expansion feel less lively. The village of Stalwart is small, with only a half-dozen interesting NPCs and a dozen or so quests to offer—four of which are story-less “go-here-kill-this” bounty missions. Even in story-heavy missions, pieces slot together in a very “video game” fashion, everything in its right place. Take the new companion, the Devil of Caroc. Her background is interesting, as she’s tied more closely to animancy than perhaps any other Pillars of Eternity character. But you can meet the Devil of Caroc and wrap up her entire character quest within half an hour, without leaving the small playpen of The White March. Contrast that with “The Trials of Durance,” for instance. 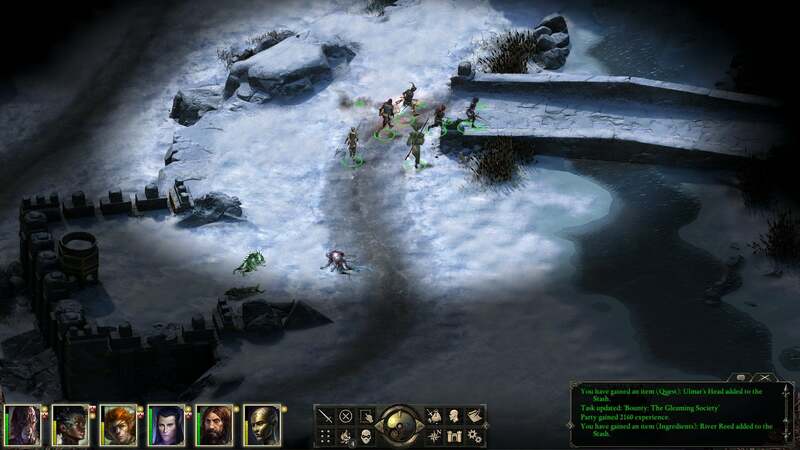 Durance is one of the earliest characters you’re liable to meet in Pillars of Eternity, but only by continually resting with him and talking to him over the course of the game will you untangle his background and motivations—and even then, you can’t finish his personal story until near the very end, after the Council of Stars. It’s an effective comparison because it illuminates much of how I generally feel about The White March after playing Part One. There’s a lot of potential, but it’s for the most part so small in scope and self-contained and worried about disrupting the main storyline that there’s no real oomph to it. Playing The White March Part One won’t cast Pillars of Eternity into a new light, or illuminate some truth about the main story you hadn’t thought of before. It’s an interesting, entertaining side venture that’s (I imagine) markedly better if taken as just another in a long list of sidequests than played on its own as an expansion. All that being said, I do want to commend Obsidian on some of the mechanical tweaks, some of which were rolled back into the base game in the recent 2.0 patch. Most important of all is the fact you can now see spell ranges, so you can tell whether a character needs to move into harm’s way to attack. Soulbound weapons are also an interesting addition to your arsenal. These weapons are “bound” to a single character, and are then unusable by all others in your party. The upgrade path then relies on performing specific feats instead of generic enchantments—for instance, requiring you do 200 damage to beetles for the weapon damage to increase. Again, this seems more useful if you haven’t finished the game, as you’d have more opportunities to complete these challenges. And finally there’s the level cap, which has been raised from 12 to 14. The biggest effect? Wizards, druids, and priests can now cast Level 3 spells as “Per Encounter” instead of “Per Rest,” meaning your wizard can throw seven fireballs per battle. It seems to make casters a bit unbalanced and overpowered, but I like it. I meant what I said at the top of the article: One day, The White March will be to Pillars of Eternity what Tales of the Sword Coast is to Baldur’s Gate. Every newcomer will play the base game and expansion at the same time. There’s no real reason not to, and few will even realize what belongs to the expansion and what doesn’t. And that’s great! But that’s not me. Nor, maybe, you. The fact is, The White March Part One is good fodder for those coming in fresh and a fine addition for those looking to replay, but isn’t compelling enough on its own for you to come back to Pillars of Eternity if you’ve already finished the game. Again, that might change with the release of Part Two. The ending of Part One hints at greater repercussions for your actions in Durgan’s Battery, and I’m curious to see whether the second half leans a bit harder towards tying the expansion to the main story—or at least ups the stakes. But for that, we’ll have to wait to find out.